The head baker at Tong Garden Centre has been shortlisted for Baker of the Year in the 2018 Baking Industry awards. 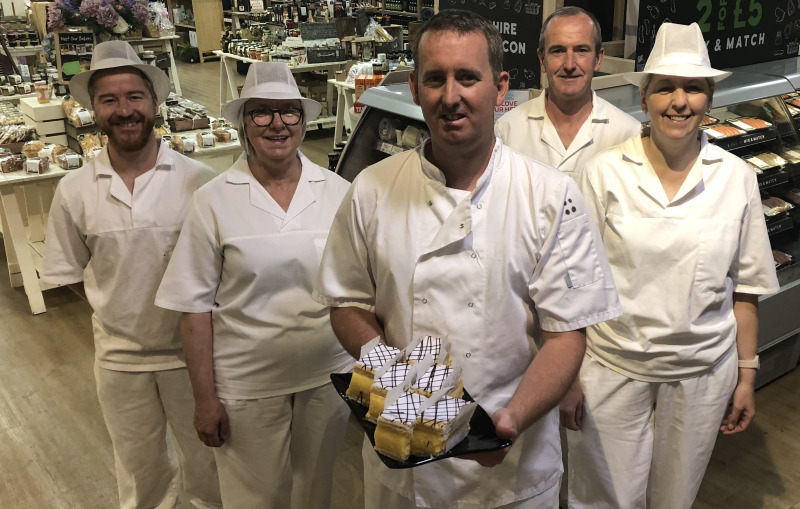 Judges from the prestigious national awards scheme visited Lee Parnham at the Tong Garden Centre bakery in June and sampled a number of products, including Tong's renowned vanilla slice, quiches and Eccles cakes. Prior to joining Tong to head up its newly-formed bakery tea, Mr Parnham honed his skills in both independent and multi-site bakeries. He now manages a team of five who have delivered double-digit sales growth every year since the bakery was commissioned in 2015. Despite being shortlisted for judging, Mr Parnham didn’t make the final three in the competition but Tong Garden Centre commercial director Sharon McNair is proud of his achievements. She said: "Lee has done a great job of building the team, developing an exciting product range in response to customer feedback and tailoring products to delight our customers. "Lee and his team have grown the bakery from a standing start in just three years and now supply both the food hall and the restaurant with tray bakes and selected patisserie ranges." Mr Parnham added: "We have achieved so much and I'm really proud to have been shortlisted in the Baker of the Year category but I couldn't have done it without the fantastic support and commitment of my team here in the Food Hall." Judges said that competition was tough and being shortlisted for judging was a great achievement. The overall winners will be announced at an awards ceremony in London on September 5. Mr Parnham and his team will be showcasing their skills at the forthcoming Taste of Tong event on September 15 and 16.